Magento Tax per Store View extension helps store owners to charge customers different taxes of a product in specific store view. Along with Magento Multiple Store View Pricing that allows setting up prices, special prices, group and tier prices of products per store view, Tax per Store View is a very great extension for a store with multiple store views. 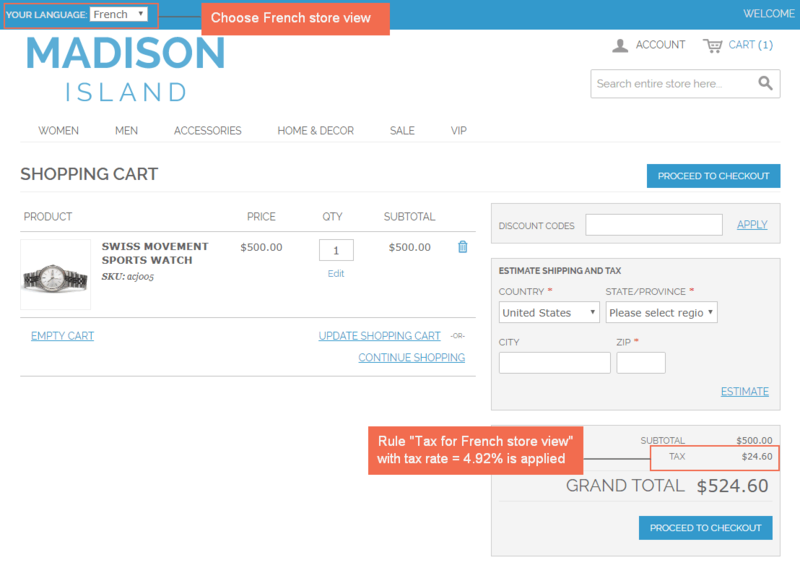 To see how to configure tax of a product for each store view, please check USER GUIDE. Why Magento Tax per Store View is a must-have extension? As you know, default Magento doesn’t allow admin to apply the tax for the level of store view, but tax is applied to the whole website. In case Magento stores want to charge their customers from the local market (corresponding to store views), it is impossible to do this issue with the default. Therefore, Magento Tax per Store View will help stores to flexibly apply specific tax class with the customized tax rate for a product in each store view so that they can achieve some tax strategies of their business. With Magento Tax per Store View extension, store owners can do more things with their store than the default function. That is how to customize tax issues at the level of store view based on the real demand of each business. It is a very nice and amazing module. Help me so much to have different taxes for my 3 store views. I always want to do it but until I see this extension, I can do it . So great! I also appreciate your suppor team. They give me many useful advices even for store views issues. 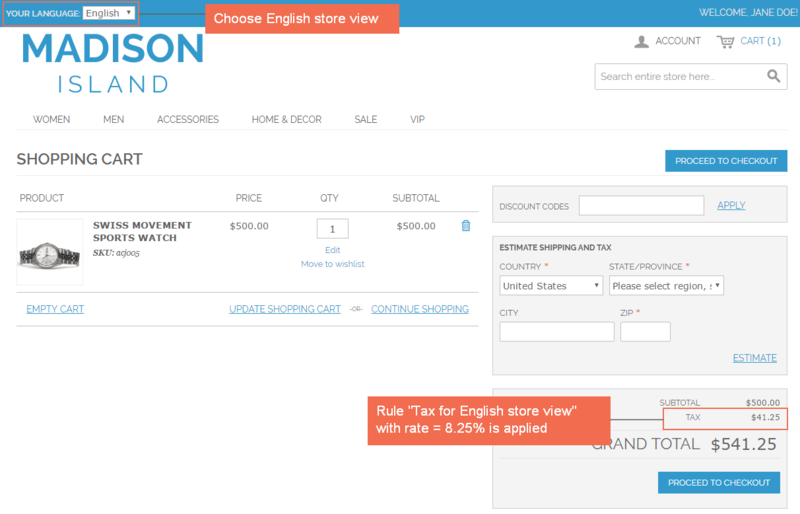 I really love this Tax per Magento store view module. Love the way you have a very smart thinking of setting tax for each store view. It is very great. Now I can easy to have different taxes for different store views in my website. You are the best! Good jobs.